Our team’s passion for the human animal bond has made us place great focus on the details of humane euthanasia. We understand that everyone has different ways of coping with this sensitive time and it is imperative that we be supportive in that. 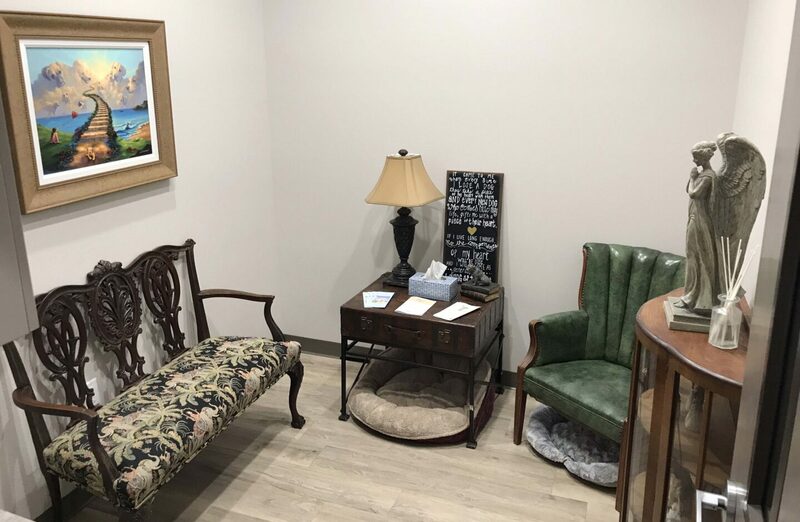 We have a “quiet room” so that pet parents can take their time and be comfortable while saying goodbye. Many different cremation and burial options are available. We also offer home visits for euthanasia.